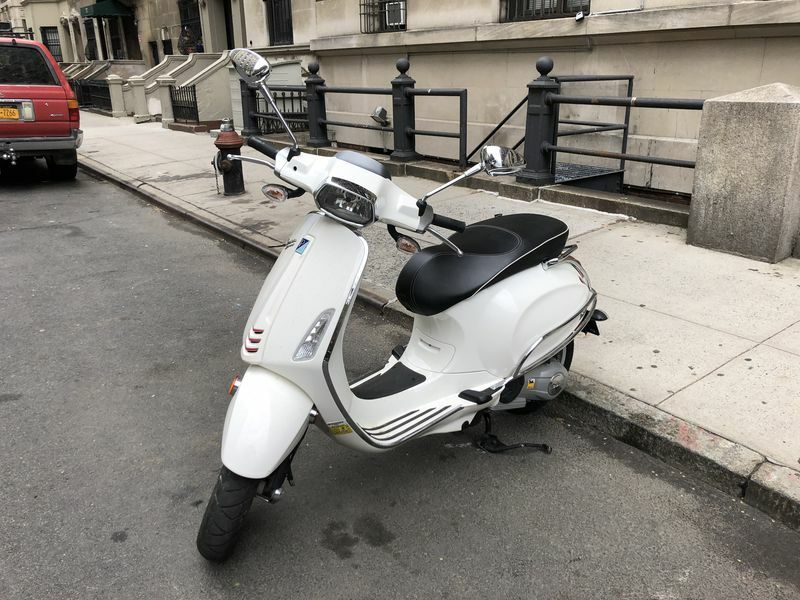 For sale is my 2016 Vespa Sprint in white with ~4,500 miles on it. I am the original owner and all service was done at Vespa Brooklyn. My commute has gotten too long so I need to let the Vespa go and look into buying either a cage or a bigger bike to take over the bridge and up the FDR. Willing to ship if buyer pays costs. Call or text 914-471-3868 if you are interested and to set up a time to come see the bike.